Getting your perfect vacation is not as hard as you think. We all know that vacation is a great stress reliever and a way to keep you refreshed. 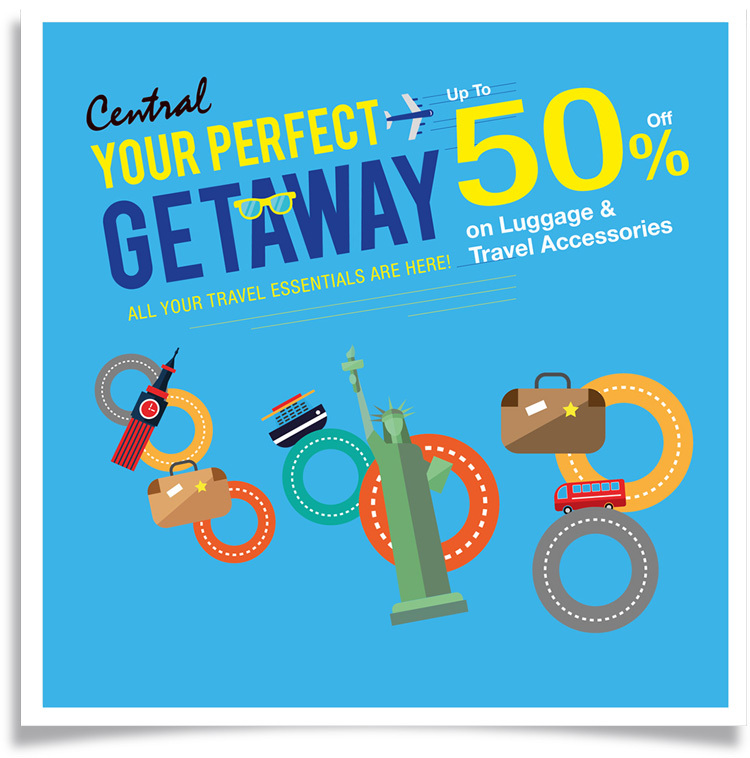 Set your destination, plan your trip, and leave your luggage & other travel accessories needs to us! Terms & Conditions are subject to change without prior notice. Central Department Store - Grand Indonesia, East Mall.